Attic apartment on the Pine Walk with air conditioning, just steps from the Pine Walk beach and with stunning sea views. Lovely tranquil location. 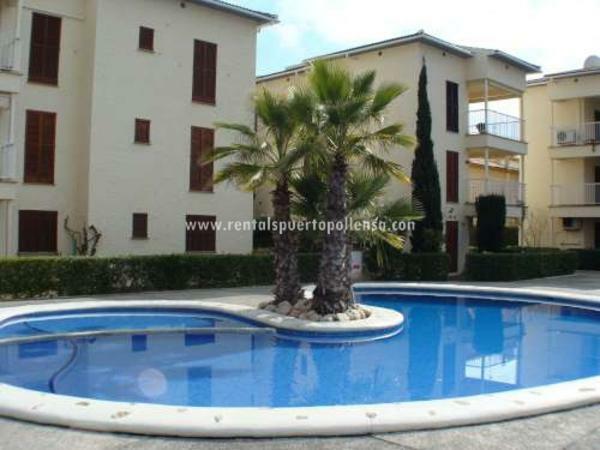 Comfortable apartment in the centre of Puerto Pollensa with communal swimming pool and air conditioning. 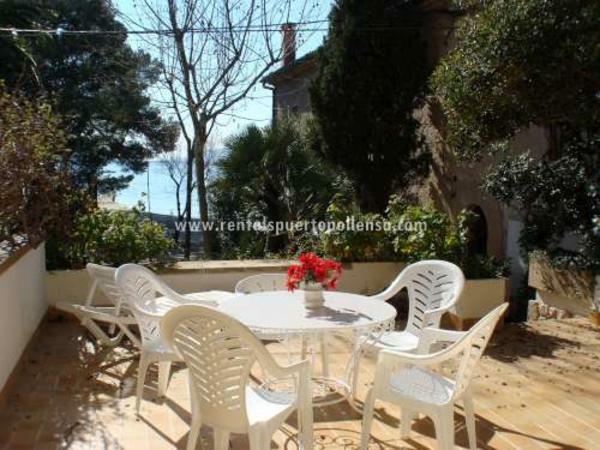 Homely, fully air-conditioned apartment with private garden and ideally located in Boquer. Spacious garden with BBQ and terrace ideal for meals al fresco. 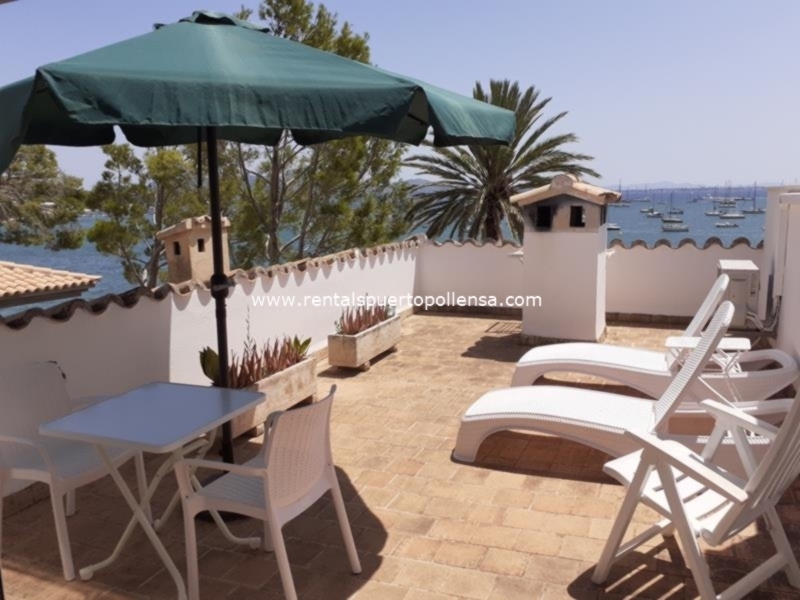 Fabulous two bedroom apartment situated on the Pine Walk with superb views over the bay of Puerto Pollensa. Good sized balcony for dining or just relaxing and watching the world go by. These very spacious apartments are located metres from the sandy Pine Walk beach with sunbeds and shade. 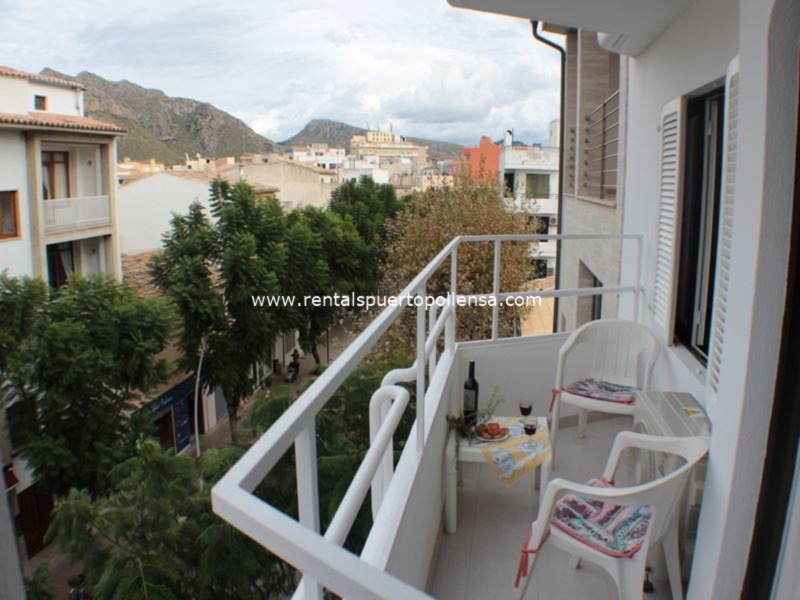 A very popular area Boquer is centrally located for the shops, restaurants and beach and has mountain views. Two bedroom apartment situated on the most sought after Pine Walk with superb views over the bay of Puerto Pollensa. Great sized balcony for dining or just relaxing and watching the world go by. This fantastic apartment is only 10metres from the Pine Walk beach and boasts fabulous sea views. Perfectly situated for the beach, restaurants and shops. Enjoy breathtaking sea views at the beginning of the Pine Walk from your private balcony enjoying a pre-dinner drink or meal al fresco. Just steps from the entrance is the lovely sandy beach equipped with sunbeds and shade. 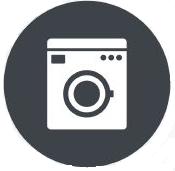 Popular, ground floor apartment with private furnished terrace and communal swimming pool. Ideally located in Pinaret just metres from the sandy beach and a few minutes walk from the centre. 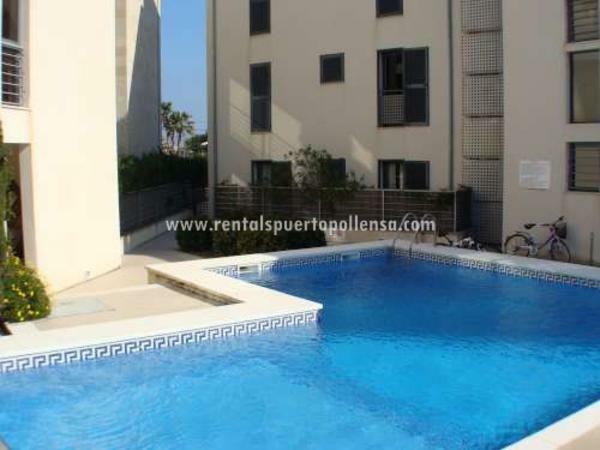 Ground floor apartment with private furnished terrace and garden and communal swimming pool. 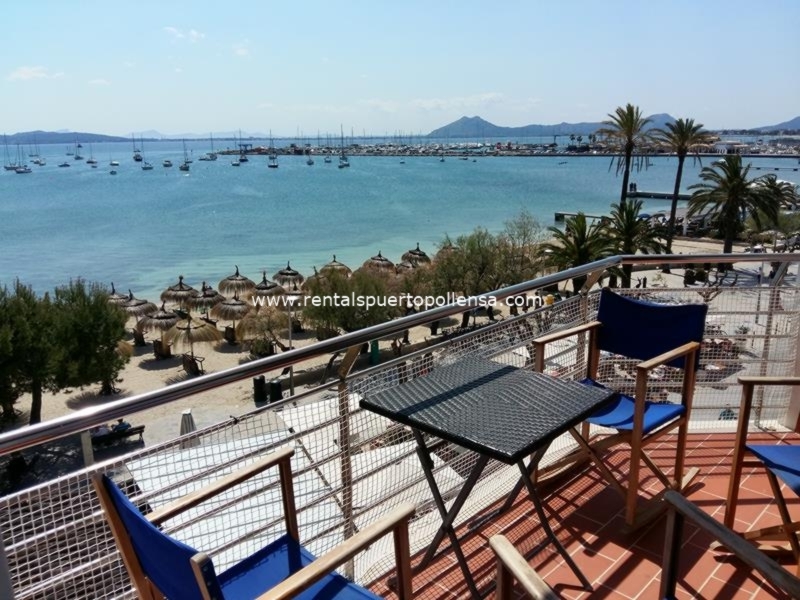 Located in Llenaire just metres from the sandy beach of Puerto Pollensa. Beautiful beach front property situated opposite the wide sandy beach. It has a fabulous and large wrap around furnished terrace with sea views which is perfect for dining al fresco. 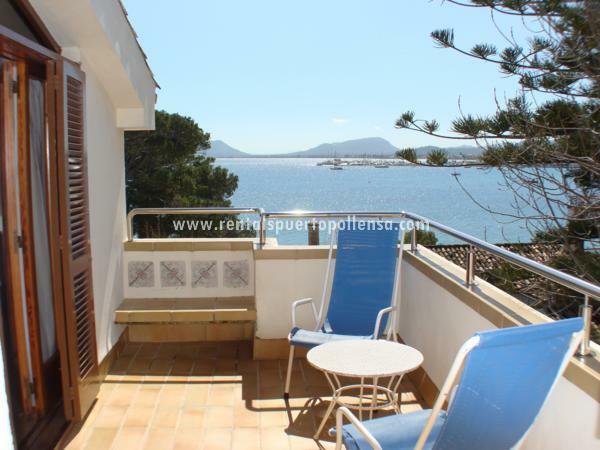 This property is a ground floor apartment, just steps from the beach and a five minute walk to the centre of Puerto Pollensa. 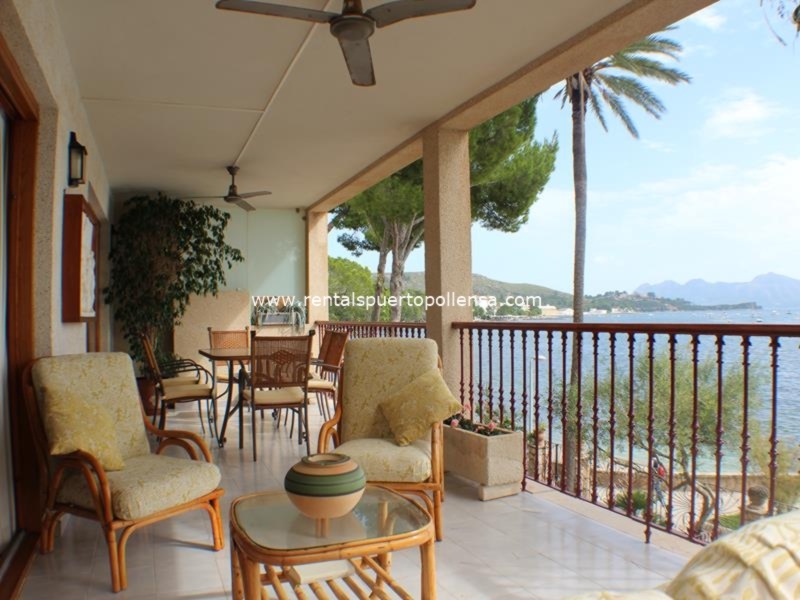 Three bedroom apartment situated on the most sought after Pine Walk with superb views over the bay of Puerto Pollensa. Large spacious balcony ideal for dining or just relaxing and watching the world go by. Fabulous, beach front, ground floor apartment on the Pine Walk with a very large furnished terrace and sea views. Ideal for families with a spacious interior, just steps from the beach and minutes to the centre of Puerto Pollensa by foot. Fully Air Conditioned, very popular, ground floor apartment set on two floors and perfectly located beside the Pine Walk. Spacious, traditional interior and large terrace just steps from the beach. Enjoy outstanding sea views in this top floor apartment at the beginning of the Pine Walk. 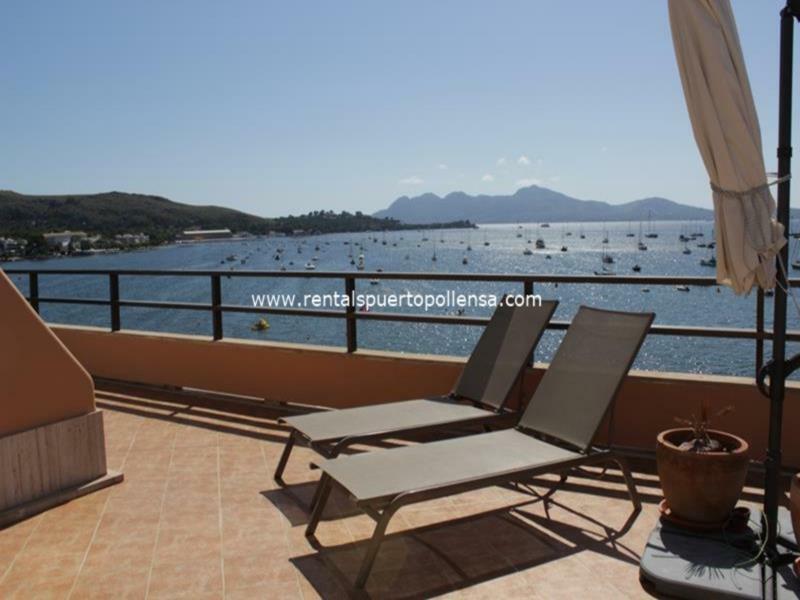 The 40m2 private, fully furnished terrace boasts what must be the most stunning views possible of Pollensa Bay. Just steps from the entrance is the lovely sandy beach equipped with sunbeds and shade. Situated directly on Puerto Pollensa's Pine Walk, the exterior of Casa Faro boasts a large covered stone arched terrace with calming sea views as well as a garden area with two sun loungers. Enjoy the fully furnished terrace at the sea front in a very peaceful location. Four-bedroom duplex apartment situated on the most sought after Pine Walk with superb views over the bay of Puerto Pollensa. Large spacious balcony ideal for dining or just relaxing and watching the world go by.